Five Sisters Productions was asked by the Coalition Against Human Slavery and Trafficking in Los Angeles to make a PSA series starring Julia Ormond, which expanded into an 8-minute short film. Ima Matul, who appears in the film, spoke eloquently about the issue at the 2016 Democratic National Convention. The Burton sisters of FSP have always been aware and passionate about stopping human trafficking, which occurs in every state in the US, in places you might not know — restaurants, assisted living facilities, housecleaning companies, nannies, etc. This is a serious problem that implicates all of us with the economic model for low prices, and it is something we need to address, protecting those most vulnerable from enslavement by others. 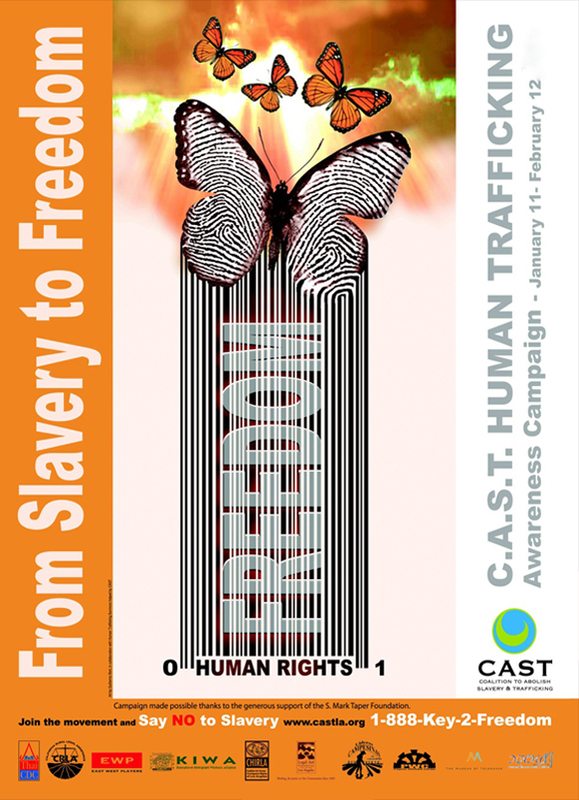 FSP hopes to do more filmwork on the subject to raise awareness and engagement on the issue in the future.